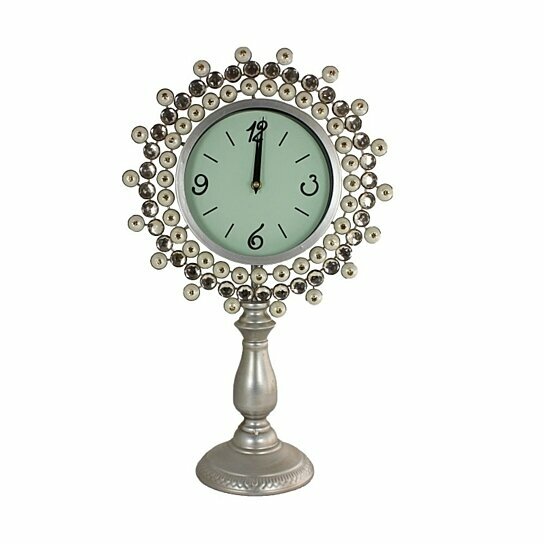 Take a look at this awesome clock with stand it will add elegance to your home and office decor. This amazing clock with stand is designed thoughtfully and is well constructed. The attractive feature of the clock is it has a wonderfully carved stand that makes it apt to be place on any flat surface. The intricate detailing offers it an artistic touch. The classy pastel green color dial with the numbers and hands in black, the highlight is its pearl border and pearl finish stand that makes the clock extremely beautiful.